Halloween party food can be full of food colouring and artificial flavourings, which I try and avoid as much as I can when cooking for myself. 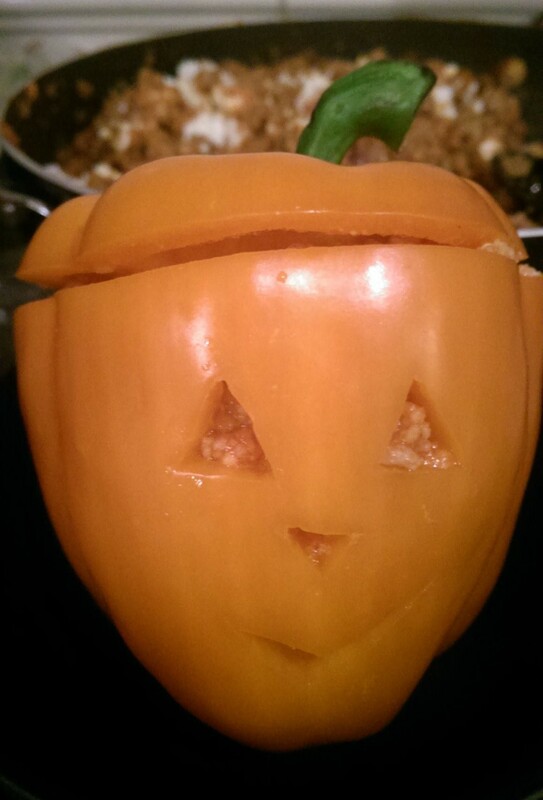 When looking up Halloween food recipes it was difficult to find something that would appeal to children as well as adults, as well as being filling and fun! This idea came from Google images of similar creations posted by people and is a great way of creating the Halloween look with little effort. 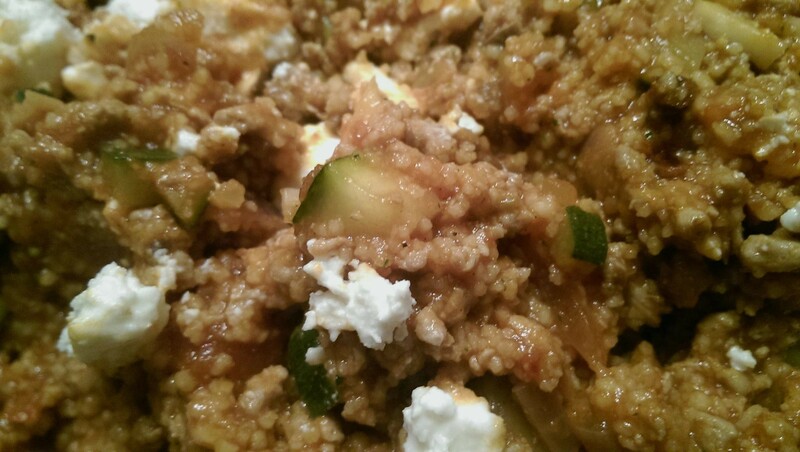 It can also be adapted to suit any dietary requirements, I chose to use Turkey mince, feta cheese and cous cous. 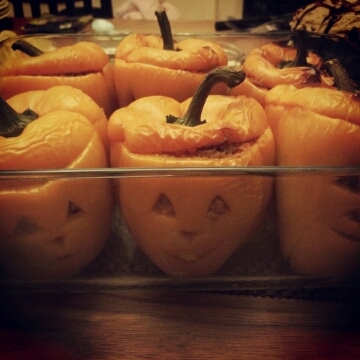 I found these huge peppers that were perfect for making the ‘pumpkins’ as I was worried they would shrink quite a lot upon baking.